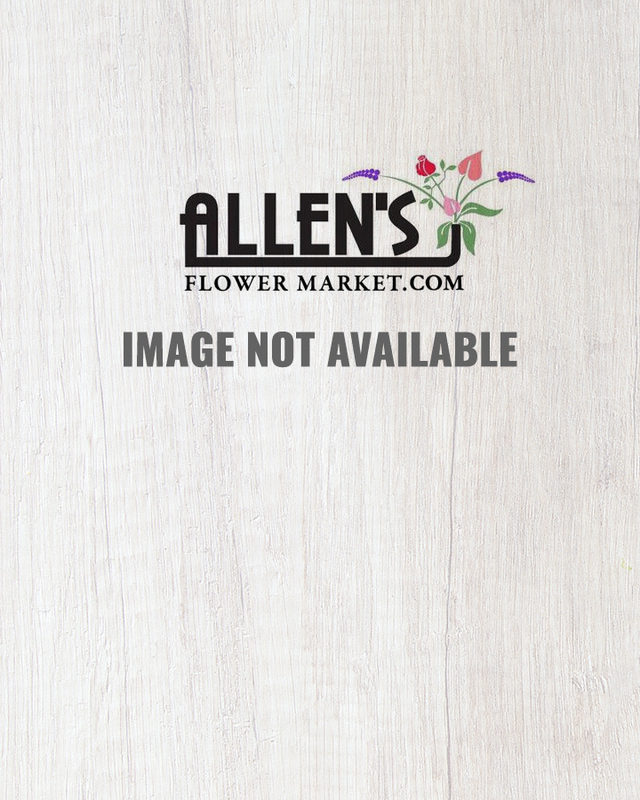 Better Homes and Gardens® Fond Arrival Bouquet. 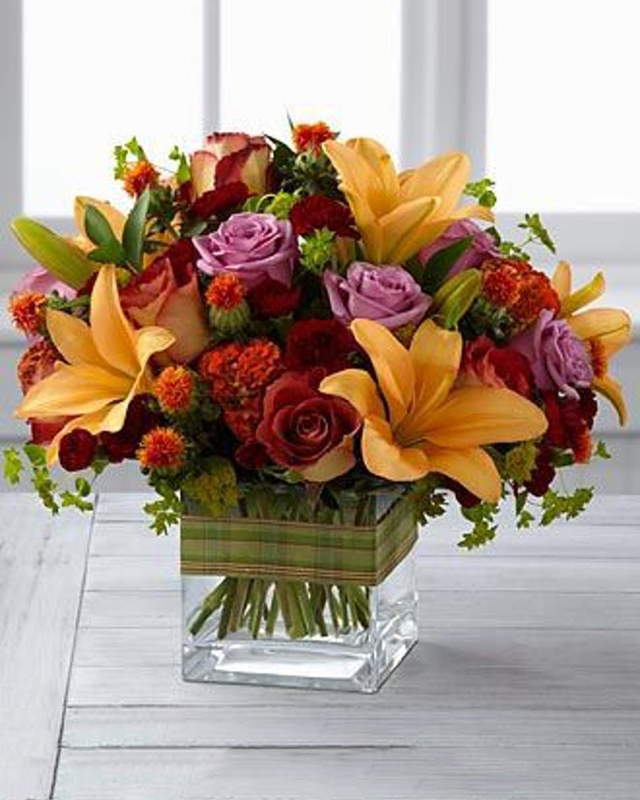 Sweetly sophisticated and bursting with fantastic bold color, this bouquet of Leonidas roses, lavender roses, burgundy mini carnations, peach Asiatic Lilies and an assortment of lush greens will capture your special recipient's attention with its every bloom. Arriving with a square clear glass cube vase accented with a green plaid ribbon, this bouquet sends your warmest sentiments for a fantastic gift.